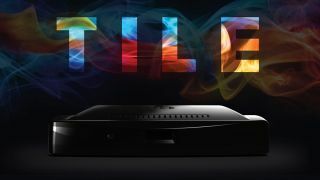 The What: DVDO, provider of high-definition video processing, switching, and connectivity solutions, has launched TILE, to enable Universal Casting to both professional and commercial integrators. TILE is designed to simplify the process of wirelessly connecting multiple users to an existing display system by casting any desktop, application, video, image, or other content to the shared screen with the touch of a button. The What Else: Up to five different TILED windows can be displayed simultaneously, allowing multiple users to share content, compare videos and images, or to bring up websites alongside presentations. The TILE system offers five HDMI inputs including an HDMI 2.0a 4K pass-through, two USB inputs, and two HDMI mirrored outputs. The Bottom Line: Aimed at collaborative environments such as executive conference centers or marketing war rooms, TILE users manage their experience with DVDO’s free TILE App, which is available for iOS and Android mobile devices, as well as for Mac and Windows PC systems. Users download the app and begin to cast content through TILE to the connected display. A Moderator mode can help approve and queue the casted content before it is shown on screen.